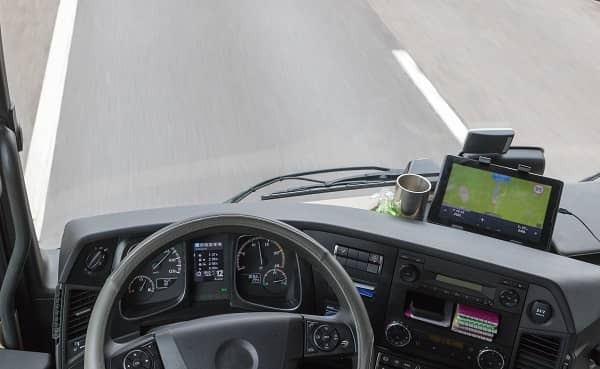 With electronic logging devices (ELDs) in use on all trucks after the FMCSA mandate is fully implemented, the trucking industry will see a variety of changes. Some of the hours-of-service changes could prove detrimental to motor carriers operating on thin profit margins. Other changes will bring more positive results, including the potential increase in trucking capacity. Freight brokers and other third-party logistics providers are likely to “uncover” available trucking capacity, thanks to the new range of data that will be conveyed by each truck’s ELD and compiled back at the freight broker’s offices. By using hours-of-service information, combined with the ELDs’ geo-locator data, brokers juggling a wide range of shippers’ loads will have an opportunity to assign loads and partial loads more quickly than ever before. Freight matching can be a perennial challenge, but new ELD technology and new software will help brokers instantly locate motor carriers with available hours in the right locations. Those motor carriers can be called upon to pick up loads and maximize their time on the roads to ensure that they are not empty on their routes. With the ELD’s ability to constantly stream data about locations and drivers’ hours, brokers can speed up load assignments and stay responsive to customers. With the location tracking, they can see precisely when power units with unused hours are available for their next loads in specific areas. Motor carriers with capacity can use mobile apps to automatically provide their locations to find loads offered by brokers. ELDs also will help trucking companies. The good news for motor carriers is that brokers and shippers will no longer be able to coerce drivers to break hours-of-service regulations to meet delivery deadlines. ELDs will also transmit each truck’s maintenance and service needs to the trucking company’s office, which can save time over the long haul with preventative service alerts. Trucks grounded in the shop with repairs cost more than timely maintenance checks. In the short run, the industry could see a decrease in capacity around the time of the ELD mandate deadline. Some struggling trucking companies will be unable to compete within the mandated hours-of-service restrictions and will be closing their doors. With today’s growing driver shortages, capacity has been tight for a number of years. However, when the dust settles and electronic logging devices become ingrained in the industry, prospects are good for brokers to find new ways to match trucks with their loads. Another tried-and-true method to match motor carriers with brokers and shippers is FreeFreightSearch.com, the world’s largest completely free load board. Registration is free and just takes a moment. Click here to sign up today.